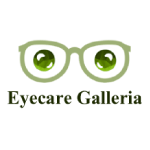 Eyecare Galleria is where you’ll find your hometown vision care doctors. At our private office, you’ll see why we’re known to have a caring, personal environment. Come see Dr. Ingrid Stevens-Farinas and Dr. Rowena Velasquez if you want the one-on-one attention that you deserve. Our office is dedicated to providing our patients with the highest quality, professional eyecare available. We are committed to achieving excellence in the care we deliver with integrity, honesty and compassion.